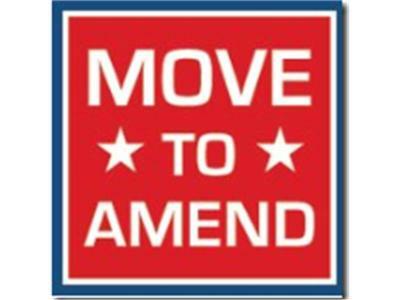 If you liked this show, you should follow Move to Amend. In light of African American History Month, we will be focusing our programs on Move to Amend's partnership with international grassroots organization Hip Hop Congress to present What the (Bleep) Happened to Hip Hop, a public education campaign to address the corporatization of music, dance, and other art forms and shine a critical lens on race, class, and gender in contemporay American culture. This February will feature artists, activists, and organizers supporting this national campaign to raise awareness of the dangerous power corporations currently wield over culture and how it connects with their use of corporate constitutional rights. Join us this week as we talk with Move to Amend's Program Coordinator Jessica Munger and Hip Hop Congress Executive Director Shamako Noble about the purpose of What the Bleep Happened to Hip Hop and discuss Hip Hop's relationship to the struggle of oppressed people in the United States.